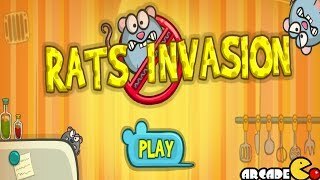 Click on the Play Button and 'Rats Invasion' will start after this message... Thanks for waiting! Enjoy this sequel! 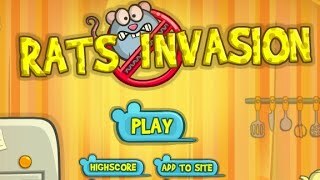 Rats have taken over your house, so put your deadly skills to test! However, getting rid of them will be no easy cake - they are a bunch of clever rodents. Have fun! Enjoy this new version! 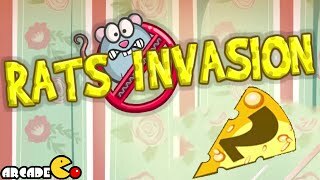 Some pesky rats have taken over your apartment, so put your skills to test and get rid of them before they become a plague. It won't be easy - they're smarter than you think! Have fun! Join the endless run challenge over the mysterious red dot. Whether you are a dog person or cat person, you can always use your pet's special abilities. Ram objects or jump higher in order to beat your highscore. 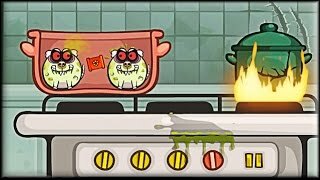 Various levels, funny cartoon style and lots of challenging obstacles. Start now and be the first to catch the Red Dot! A sorcerer has turned you into an ugly and disgusting mutt. You have to help everyone in need in order to break the spell. awesome game. i almost completed it. hard also. @el_de_un_nombre: It's npt difficult at all, you just have to be fast.